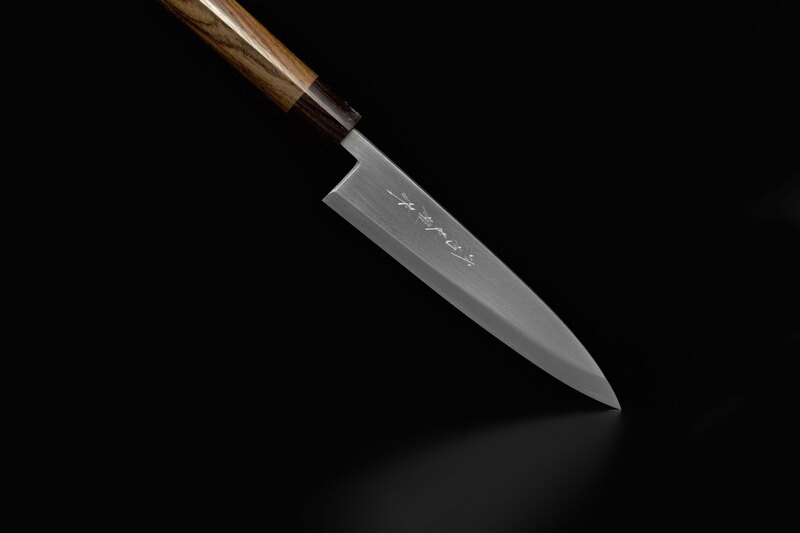 Superior Aogami 2 steel core in combination with carbon steel layer and a single-beveled blade brings an amazing working quality. Challenging to work with, but once mastered these Kataba knives bring peerless results. Smooth blade due to the Migaki finishing. Core: Aogami 2, hardened to HRC63-64. Blade: Single beveled, available for right or left hand use. Handle: Fine Ebony handle, which is premium quality and very dirt-resistant and robust. Pakka wood ferrule bolster. For Left version please add an L to the item number when ordering. © 2018 Ikeda Ltd. All rights reserved.